Dell's Android-based tablet, priced at Rs. 34,990, was aimed “to put the whole world into a five inch screen,” said Mr. Bhalla. The Streak, positioned as an entertainment device for people on the move, could display high definition videos, play music, act as a navigation device using its GPRS capability, apart from enabling Web browsing and e-mail, he said. It has two cameras, one for video calling and the other, with a resolution of 5 megapixels. 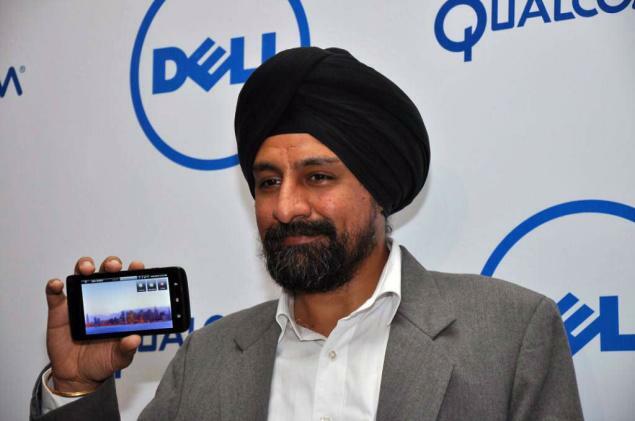 Mr. Bhalla said Dell was likely to introduce later similar devices with screen sizes of seven and ten inches. Dell has announced a special advance exchange warranty on the Streak. “The device will be replaced in case there are hardware defects that arise during the one-year warranty,” Mr. Bhalla said. Mr. Bhalla repeatedly hit the screen to display its toughness, which, he said came from the use of Gorilla Glass, manufactured by Corning. “The distinguishing feature of the Streak is that it occupies the space between regular smart phones and devices with larger screens,” Mr. Bhalla said. The Streak, he said, was well positioned to take full advantage of 3G capabilities that would be offered by mobile phone companies. “The Streak has been future-proofed for the next several years,” he claimed. “Although the device is larger than the typical mobile phone, its thickness, only 10 mm, enables it to be carried in a purse or in the pocket,” Mr. Bhalla said. “Weighing 220 gm, the device is exceptionally portable,” he said. Sandeep Sibal, Country Manager and Vice-President, Business Development, Qualcomm, told The Hindu that the company's relationship with Dell “is not exclusive with Dell.” “The Snapdragon is featured on multiple devices and multiple OEMs across the world,” he said. “There are now 140 devices that are being designed on the Snapdragon chipset,” he said. Dell Streak buyers would be eligible for a special offer from Tata DoCoMo for its data plans.